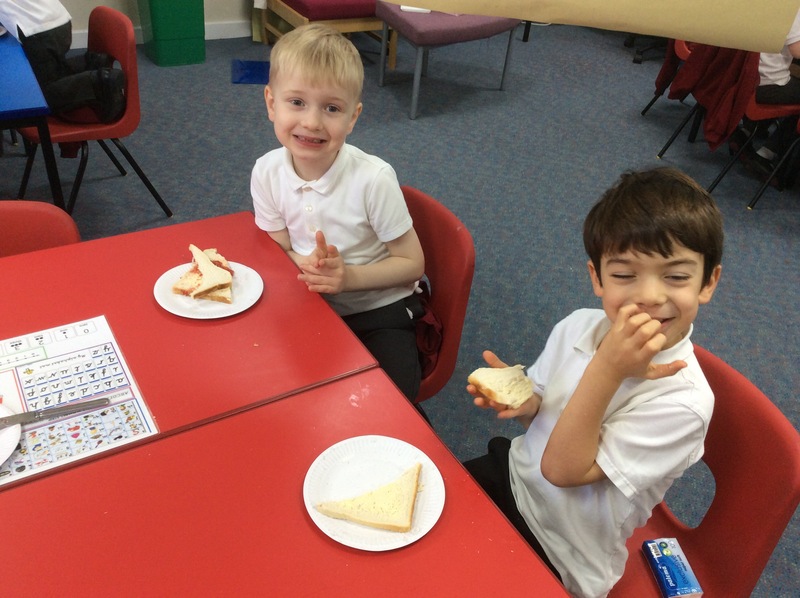 This morning we have been making jam sandwiches. 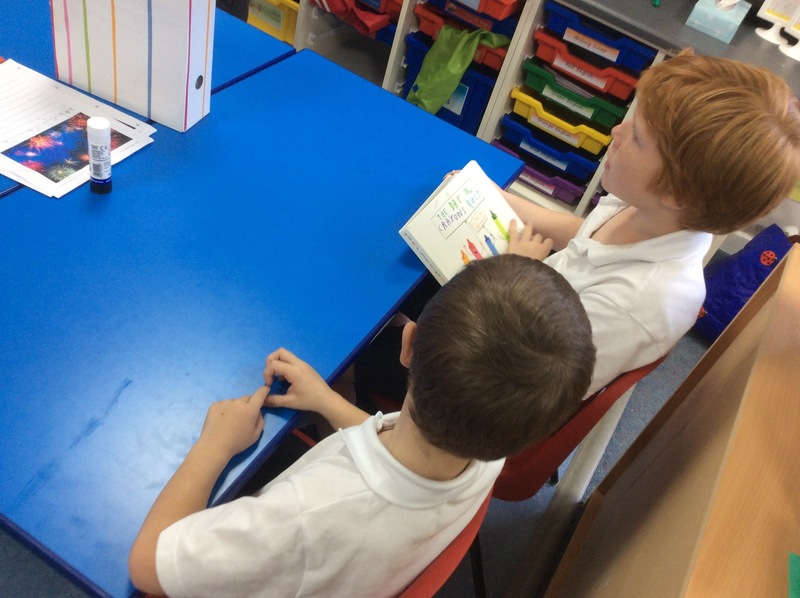 All as a way of following instructions to help us later write our own set of instructions. 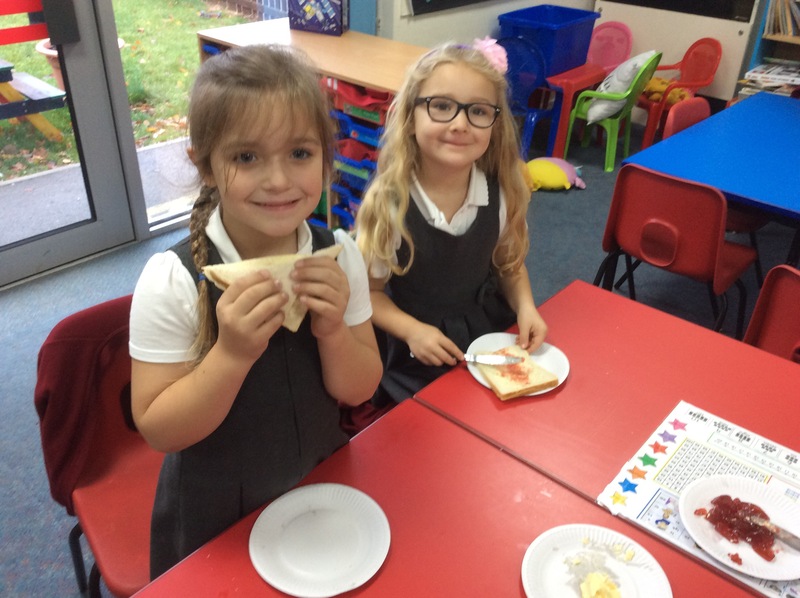 It was very funny at the start as class 4 had to tell Miss Cosh how to make her jam sandwich, it kept going very wrong as Miss Cosh didn’t know what to do. She put th bread on her head rather than a plate. She used her hands to spread butter on the bread instead of a knife. Then she put the whole jar of jam on the bread rather than a little bit. 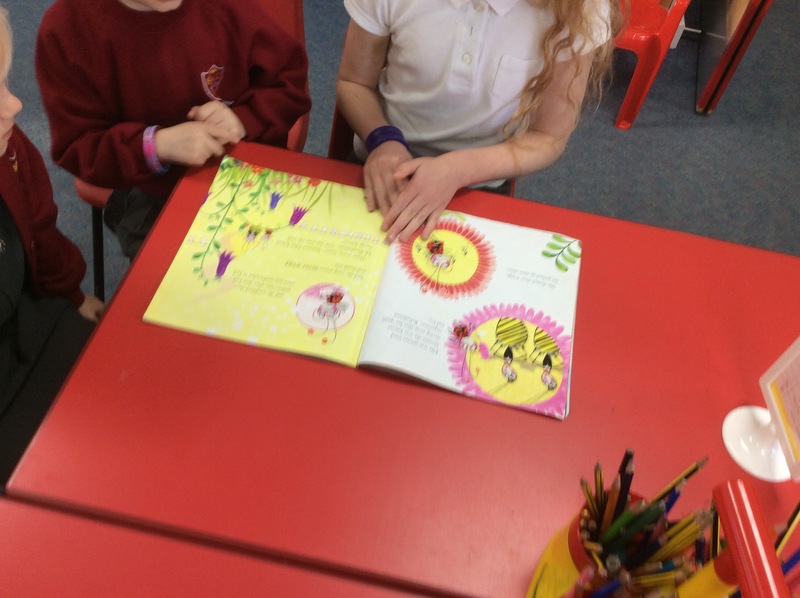 It was a good job class 4 were there to tell her how to do it properly. 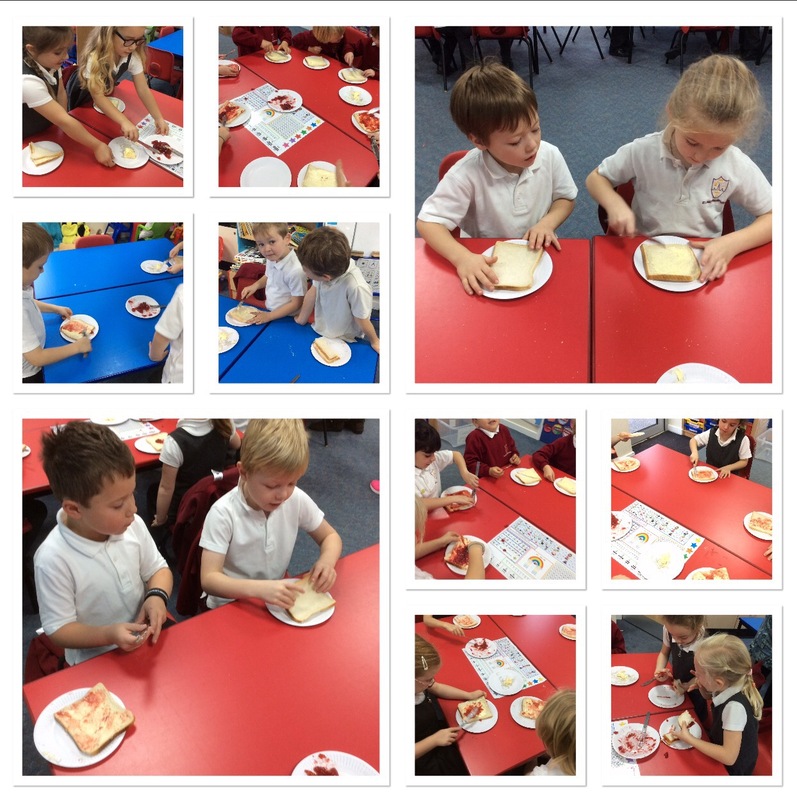 We then got to make our own jam sawdwiches in pairs by telling each other what to do. 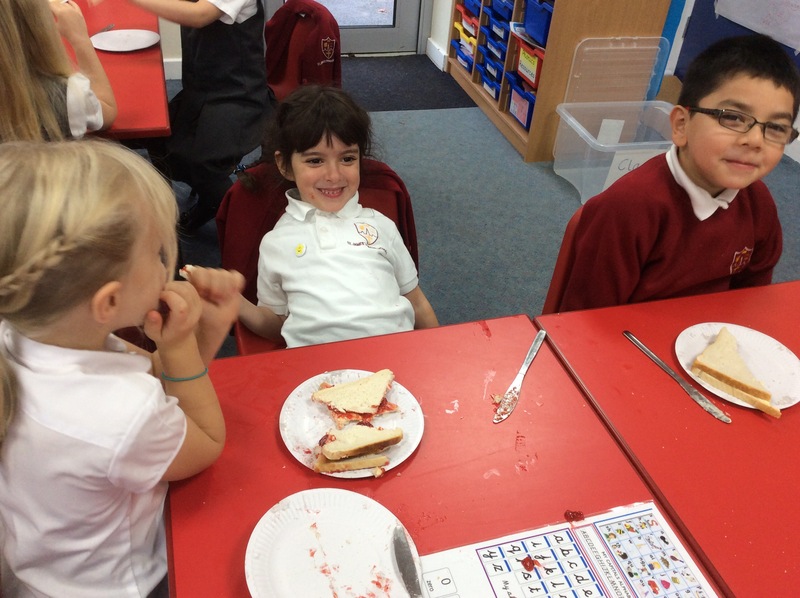 The best bit by far was getting to eat what we made at the end! They were delicious!! 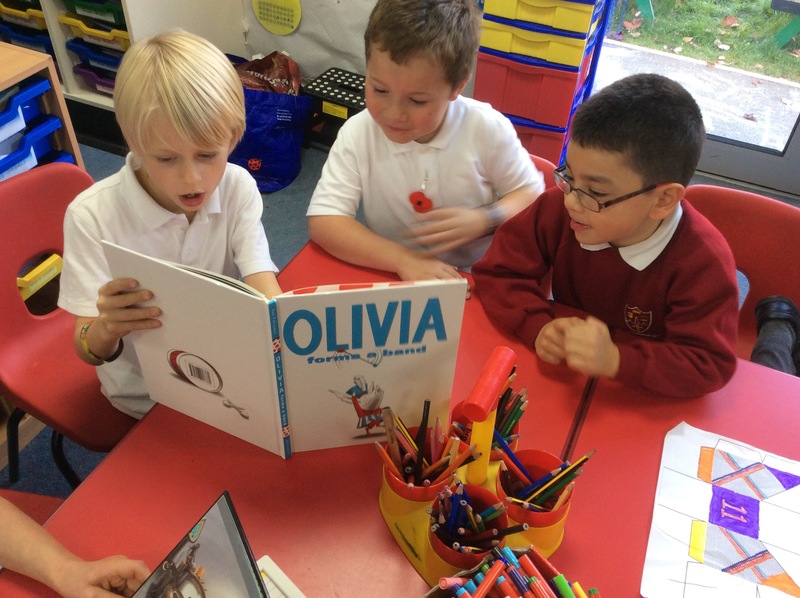 We were treated to Miss Van Daesdonk’s class joining us last Friday during our story time. 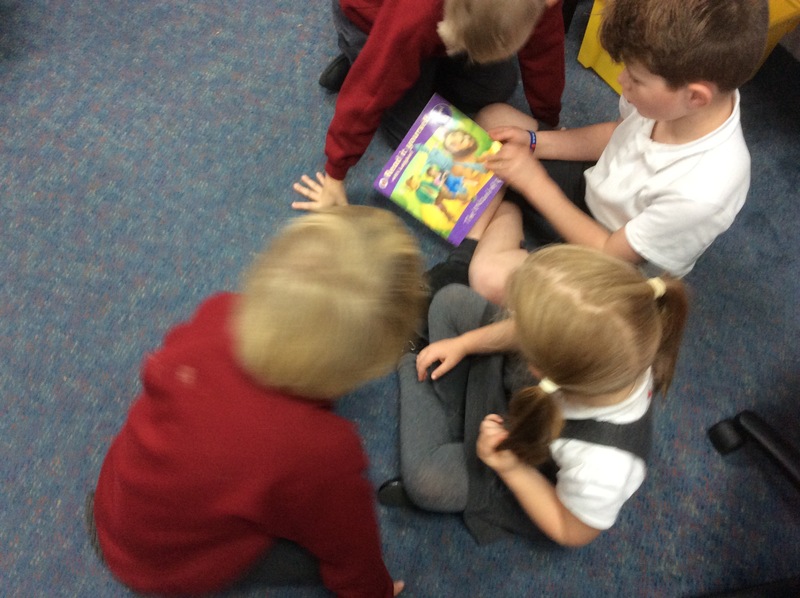 They all bought with them a favourite book and sat and read to us all in class 4. 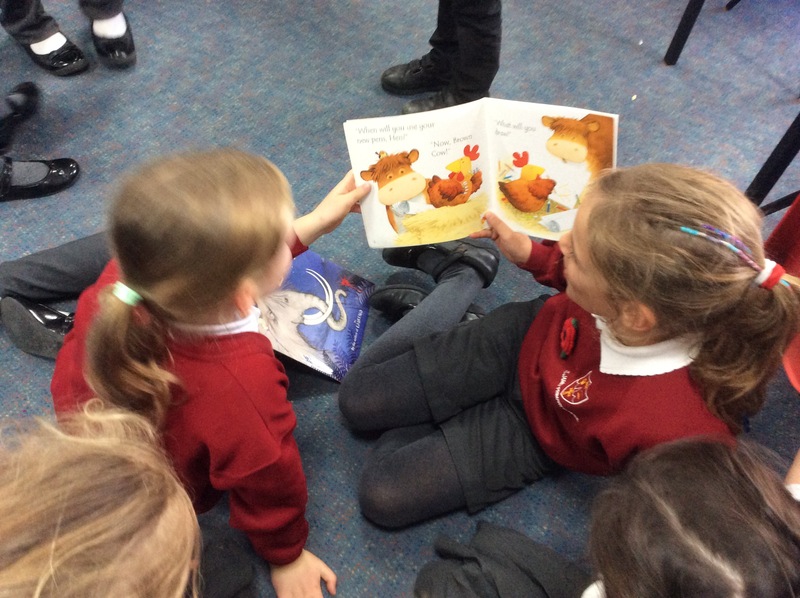 It was a lovely way to end the week and very relaxing and engaging for all the children. 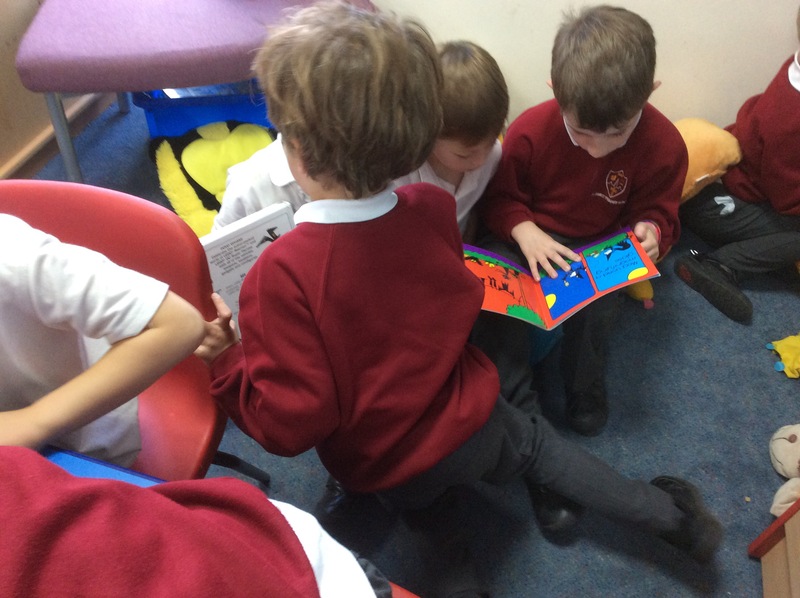 It was extra special because we have a lot of siblings in these year groups and it was lovely to see them sat together engrossed in a good book. 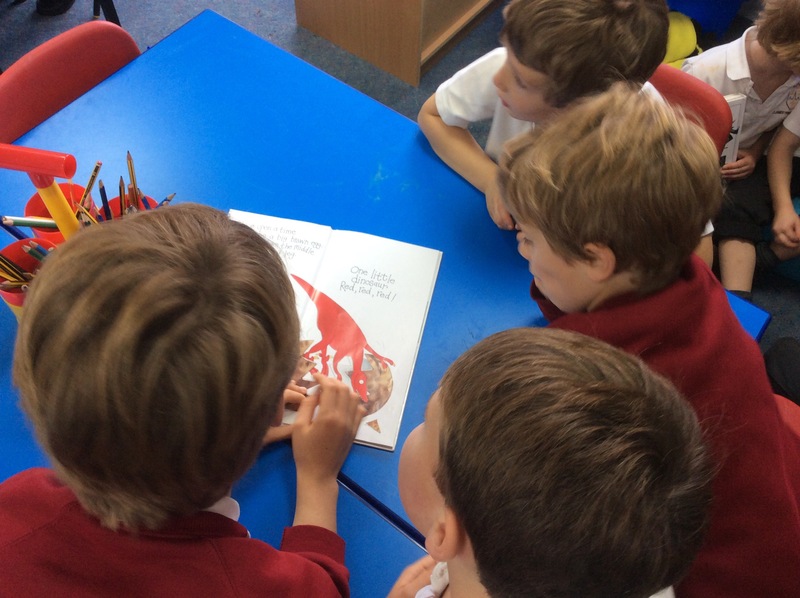 Thank you so much year 4 for joining us, we hope to do it again very soon… I know my class can’t wait to maybe visit you next time and share some stories in your classroom. It it is always a lovely time getting to know your new students and this year is no different. 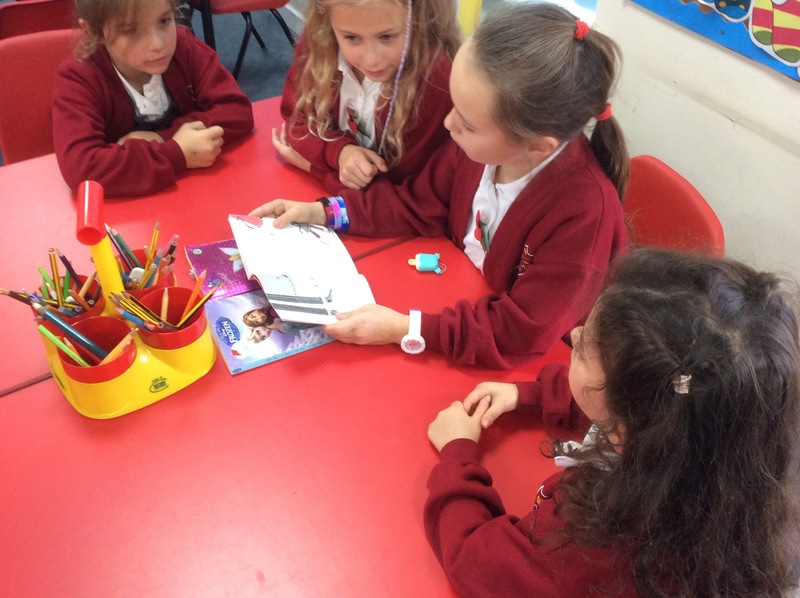 As well as getting to know 30 new children, you also have to learn all the new faces of parents, grandparents, child minders etc and it is a whirlwind to get your head around. But it is so nice, at the end of the day, seeing all the smiling parents waiting to see their children again after a long day of school…. Wow! What a day we had on Tuesday!! It was incredible! Year 1 were learning about explorers, mainly our local hero Edward Wilson and we celebrated all we know by having a whole theme day about Scott and the team and their Antarctic Expedition. Sophie also shared with us some of the equipment similar to that which Scott and the team would have used in their expedition. What was really cool was that we got to also try on some of these items!! Year 1 were extra lucky as after play time we went with Mrs Cottrell in to Forest School. We had some hot chocolate and marshmallows to keep us warm (this is authentic, we promise!) Then we got to make dens and try and shelter from the freeeeeezing polar wind that would have affected all the men whilst trecking the Antarctic. The afternoon was just as fun filled as we split in to groups and did a carousel of activities. We used junk modelling to recreate some vital equipment that every explorer would need including: binoculars, flags, ice picks, sledges… It was super fun and Miss Ladley is always great at helping us get creative and a little bit messy. We split in to teams and using the PlayPod we recreated a fun and dangerous treck across the polar expanse, racing our way along the ice sheets. The challenge was, only two people in each team could touch the ground. We had to think of imaginative ways to get across the playground to reach The South Pole. Have a look at just some of our methods! We were also treated to an exciting talk from a real polar expert. Mr Hughes shared with us all his incredible knowledge about Edward Wilson and what it takes to survive as an explorer. He really knew his stuff and it was super to pick his brain with our questions and discussions.